We managed to grab some computers today and we used the photos we had taken yesterday in ComicLife to make photo stories. 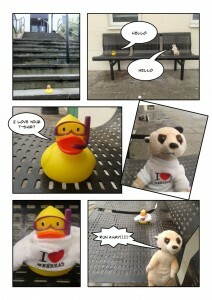 We selected a template and inserted in the photos then added text and speech bubbles. This entry was posted in Ms Farrell's blog, Photography, S5-6 DMC, Still Images. Bookmark the permalink.